​In today’s world of ELD’s and Hours of Service Rules your trucks need to stay on route and productive, not spending excess travel time on the road. We will work with you on when you need to be getting that extra load off the truck and back on the road. Give us a call and talk with John about pricing and hours. The Kewaunee Transfer Station commercial services save commercial haulers time and money by eliminating trips to distant waste and recycling facilities.​ We are proud to assist our Commercial Haulers in saving route time when needed to stay on the route and not be running back to a faraway landfill or Transfer. Saturdays – May 1 to September 30 8 AM to noon. Saturdays – October 1 to April 30 first & third Saturday 8 AM to noon. Wisconsin’s recycling law bans certain materials from landfill disposal, and this applies to all residential and non-residential locations. 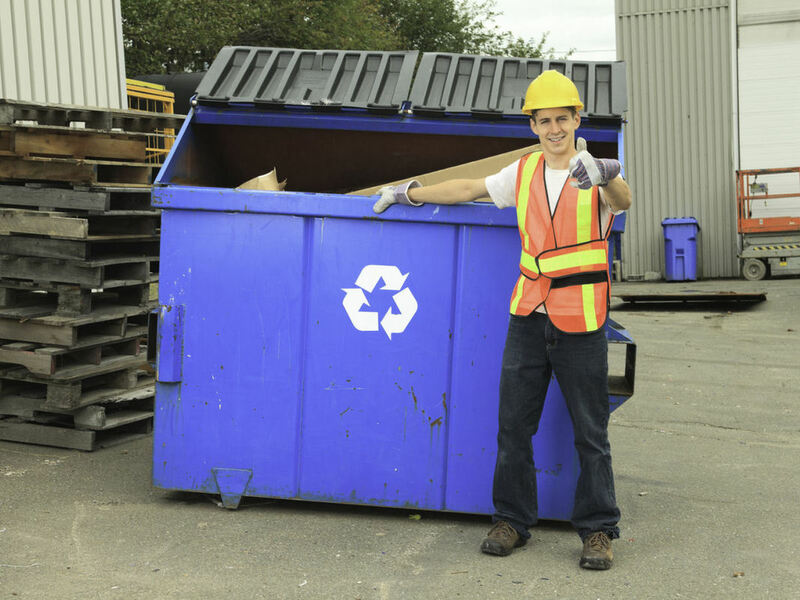 Businesses and other workplaces must recycle designated materials, as well as provide for the recycling of these materials by their clients or customers. Talk to us about how we can assist you to be environmentally responsible. For our contractors call about competitive contract pricing.